For the first in our series of forgotten writers and classic books, Dr Robyn Greaves from the University of Tasmania writes on author Ernestine Hill who was born this day in 1899. Thanks, Robyn. 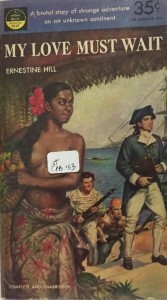 Today, not many people have heard of Australian author Ernestine Hill. If she is remembered, it is often in derisory terms; she has been criticised for her flamboyant prose and her (retrospectively perceived) rampant racism. Hill was born on the 21st of January 1899, on the cusp of a period of great change in Australia. In 1901 Federation established the nation as an entity in its own right and people were actively engaged in discovering and defining what it meant to be Australian. Writers made a significant contribution to this quest for a national identity, Hill not least among them. She was an ardent nationalist and a vocal advocate for a distinctive Australian literature. She was also an unconventional woman for her time. Hill began her working life as a personal secretary for Robert Clyde Packer, founder of an Australian media dynasty. She gave birth to a child without naming the father (presumed by some to be Packer) and subsequently embarked on a peripatetic lifestyle as a journalist, eventually becoming the first female commissioner appointed to the Australian Broadcasting Commission. She was popular at the time she was writing and published prolifically across a range mediums including newspapers, magazines, radio, travel narratives and books of historical fiction. Hill used her persona as a professional traveller (journalist) and middlebrow publishing venues to reach a wide audience. Hill is most often remembered for her travel texts, The Great Australian Loneliness (1940) and The Territory (1951). Travel writing was a popular contemporary form and Hill added a female voice to a male-dominated genre. She was interested in the foundational stories of the nation’s past and she travelled far and wide to record them. This included a fascination with the figure of Matthew Flinders. 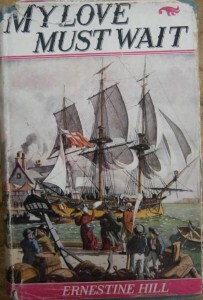 She researched Flinders’ life and traced his journey around Australia, documenting his story in the historical romance, My Love Must Wait (1941). 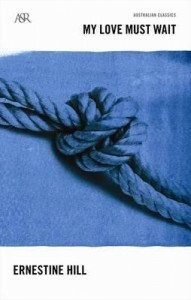 Like other women writers, Hill used the romance genre to highlight contemporary concerns while positioning them within a broader historical framework. 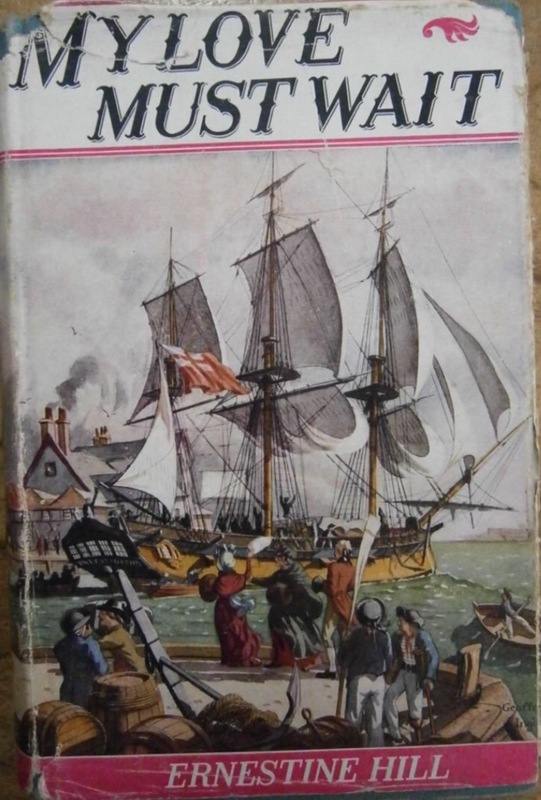 My Love Must Wait was ostensibly far less about the relationship between Flinders and his wife than a detailed historical fiction of Flinders’ life and achievements. The novel was hugely popular and at one stage film rights were purchased but a film did not eventuate. Following My Love Must Wait, Hill published Flying Doctor Calling (1947), an account of the Royal Flying Doctor Service. The book was also a huge success, confirming her popularity and status as a key mid-century writer. Despite her publishing success, Hill remained an outsider from the literary establishment. She was an anomalous figure (for the time) as a single mother striving to earn a living from writing. She was constantly on the move beyond conventional domestic/private space, living amongst men, like a man, sleeping in a swag under the stars, yet set apart from her male companions in a position of relative privilege due to her gender. She used her gender and her professional status as story gatherer as tools in her self-construction as traveller and narrator. Her itinerant writing life in remote regions not only gave her a public profile, but added a woman’s voice to a largely masculine tradition. Her compulsive wanderlust, curiosity and passion fuelled her writing. Although Hill goes on to say that this impression is “far from truth”, she perpetuates it as she sets up a picture of the isolation and hardship of the lives of those in the remote regions. The people of the bush in Hill’s accounts are stoic and laconic characters formed and moulded by the unique conditions of the environment. For Hill, these were the “real” Australians whose stories she felt compelled to record so that they would not be forgotten. Hill stressed her professional curiosity and desire to “learn” about the regions through which she passed and the people she encountered. She was interested in everyone and everything. Her narratives depict her sitting on a veranda or on wooden boxes outside a store “having a yarn” with various characters. Her means of transport were often rudimentary and hastily organised and she was forced to spend extended periods of time waiting due to inclement weather or break-downs. This way of travelling suited her purpose to take the time to get to know the landscape she passed through and the people she found there. She wrote about Aborigines and racialised others in outback Australia, showing them in relationships of mutual dependence with white Australians in an area where racial boundaries became blurred. In these ways, Hill offered entertaining, educative and engaging perspectives on the regions she moved through and the people who inhabited them, both reinforcing and challenging stereotypes in a modern nation grappling to locate an authentic sense of identity. After the success of her books, and her high-profile journalistic career, Hill’s latter years are a sad record of financial struggle, failing health and unrealised publishing dreams. She strived to maintain her itinerant lifestyle and publishing output but couldn’t manage to do either successfully and died at the age of seventy-two, leaving little in the way of an inheritance for her only child, Robert. This is not how she should be remembered, however. Fellow writer Mary Durack wrote about Hill in Walkabout magazine’s Our Authors Page, referring to her as “a pioneer of her kind who opened the eyes of Australians to . . . the colour, and the varied immensity of their land”. With her abiding passion for all things Australian, Hill produced and perpetuated foundational myths of the nation’s history. Her subject matter and writing style, while dated, resonated at the time with an audience eager to know their country. 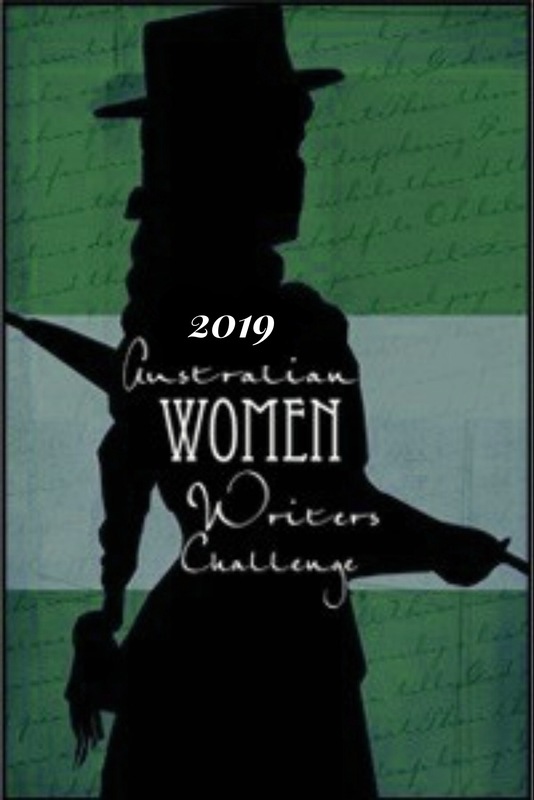 Like fellow popular but largely forgotten mid-century Australian female writers Henrietta Drake-Brockman, Durack and Patsy Adam-Smith, Hill was engaged in promoting her version of Australia and its people, drawing attention to key cultural debates for a wide readership. Her work is worth re-visiting today for further insights into the concerns of mid-twentieth century Australians and consideration of how these have evolved into the twenty-first century when national identity is still a complex and fraught issue. Editor’s note: My Love Must Wait was reissued by Harper Collins in 2013. Interestingly, the online bookshop Booktopia describes it as for 11- to 14-year-olds. I adored My Love Must Wait! Hi Elizabeth, great to hear from someone who has read Hill’s work and enjoyed it! Great write up, thanks. I look forward to more of these – a very worthwhile addition to the Challenge blog I think. My love must wait was very popular when I was a teenager with my my historical fiction reading friends, but I never did read it. Anyhow, I agree with Durack’s assessment that she needs to be recognised for her role in developing our sense of who we are – it’s not all wrong to perpetuate myths, as long as we know that that’s what we are doing, and use them to spring board to a deeper understanding of ourselves and our country? Thanks for your insights. I agree that we need multiple perspectives to create greater understanding of ourselves and each other. I too look forward to contributing to more of these posts and to reading the contributions of the others. Thanks for kicking off the series, Robyn. It was very interesting to read about Ernestine Hill and I’m looking forward to hearing about the other mid-twentieth-century popular fiction writers you’ve chosen to discuss. I hope our “classics” push will uncover many more. Hi Elizabeth. Yes, Ernestine was a trail-blazer for women in Australia. The “classics” push will highlight these amazing women who have slid under the radar for too long! What an amazing woman and life. Thank you for bringing her to my attention. The old books covers are wonderful and tacky and so of the era. Thanks for the comment, Kathryn. The covers certainly reflect the period. 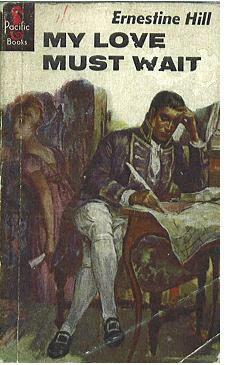 Hill’s travel book covers are similar to the style of those of My Love Must Wait. Very evocative of that time. What a fascinating woman! I have heard of My Love Must Wait, but never read it. I must remedy that! Yes, she was fabulous, particularly for her time. She didn’t let her gender or personal circumstances inhibit her in any way and made a living from writing and travelling. Her writing can be hard going at first, but once you’re used to her style, it’s really enjoyable. I’m sorry I have come so late to this (from Elizabeth Lhuede’s end of year round up). I have written about Hill off and on including the not very satisfactory van Velzen biog. It astonishes me to think that Hill could be considered racist – in The Great Australian Loneliness for example she writes scathingly of Aborigines kidnapped and forced into slavery and early deaths in the pearling industry.